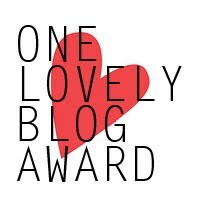 One Lovely Blog Award | Suhurat . . . Day's End HAS MOVED! Thank you, dear Emily. Your words move me in every way. So glad our horizons have met. Congratulations and much mudita for this recognition of your wonderful blog! 1. When the muse hits, drop everything, grab pencil and paper, and get out of the way. It is a gift from the Gods. 2. If only we could all have a handy map of life’s labyrinths readily available. 3. There is no painting, no statue, no cathedral, that compares in artistic beauty, nor hot steaming beverage that compares in downright yumminess, to a well-constructed stack of seasoned firewood. 4. In your heart, you *are* a Buddhist nun. Now, a night spent in silent contemplation, in front of a cracking fire, in Chartres Cathedral, with golden prose pouring out of your pen. That would be an experience! David, you are a man after my true heart. Not many people truly perceive the exquisite nature of a fine woodstack. Thank you as always for your wisdom and brilliant summation of a perfect night. Undoubtedly a nap came earlier in the day. Tess, thank you so much for nominating my blog, paper-pencil-pen, and for your comments above! I just posted about the award, with seven recommended blog sites (all papery related) so far–I’ll add the rest soon in Part 2. Again, thanks for the recognition–it’s great to know readers are out there. Best of “flow” in all your writing endeavors. My pleasure, Nicole. Best of luck on your post-MFA journey in all its brilliant twists and turns. best of luck with your writing and congrats on your recent successes..
Kim, thank you for your support! Who knows, we may meet up in robes and share a tea together some day in some part of this glorious world. All the best to you in all you do.